Hi everyone, I hope you had a lovely weekend! 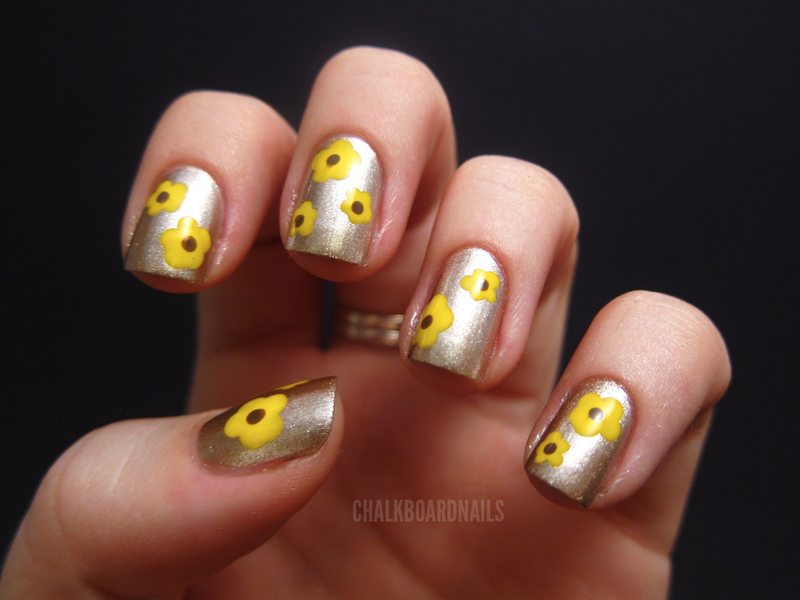 Today I am showing you a set of simple floral nails that I put together for an event I was going to this weekend. It was called the Giving Hands Ball and it was put together to help raise money for Singleton Moms, an organization my Mom is very involved with. She even got an award: Care Coordinator of the Year! Congratulations Mom, I'm so proud of you! Singleton Moms is an Arizona-based organization that provides financial and emotional support to single parents (dads too!) with cancer. They cook the parents meals, help them clean their homes, give them money for rent, drive them to and from their chemotherapy, and become their emotional support. It's really a great organization, and if you want to read more about it, check out the Singleton Moms website. This is a base of Color Club Antiquated, from the Foiled collection. It's a pretty champagne foil that looks silver in certain lighting. Very shiny. 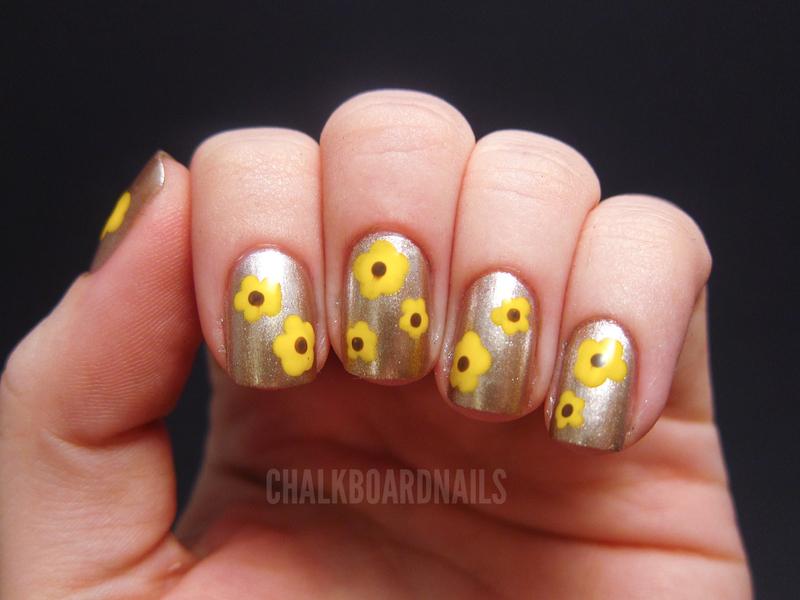 Then I added on the yellow flowers with either a large or small dotting tool (just put five dots in a circle and fill in the middle) in Color Club Almost Famous from their Poptastic collection. 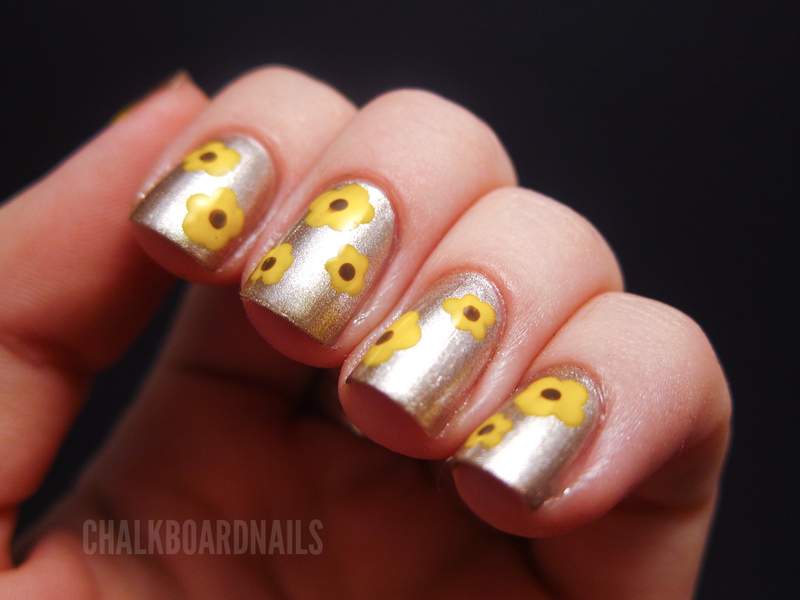 Then with the small end of my dotting tool, I added the brown centers in China Glaze Street Chic. I did these nails to match my dress, which was also yellow. I was the only person wearing yellow and I was very pleased with myself, haha. 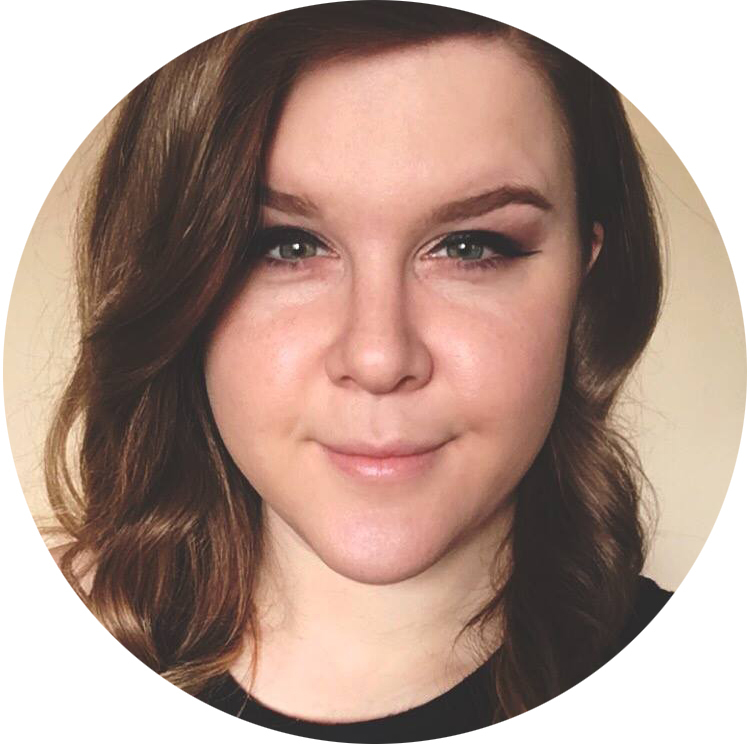 I loved the dress, and it was mega comfortable, and I felt great in it. 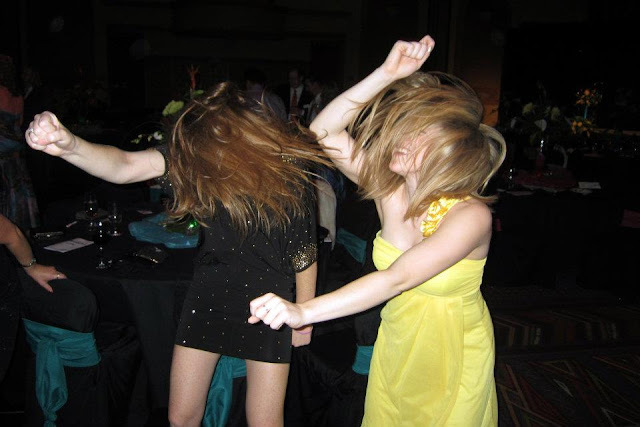 Here is a pic of my sis and I rocking out on the dance floor after dinner. I thought these nails were understated enough to be appropriate but still interesting and fun enough to appease my nail-addict brain. I had a great time at the event and I hope you will look into learning more about Singleton Moms or other local aid-based charities near you! Looks like you were rocking out on the dance floor! Love these flowers! really cute, looks like you were having a blast! Great organization too. I just adore that mani! The colors are awesome! I love the photo of you and your sis! And your nails look so cute! Perfect with that dress! I must say, a great action shot! The nails are super cute. Love the manicure and the awesome hair shot is awesome!!!!! Nice pic.... Thanks for sharing with us.